Six-term incumbent Rep. Doug Lamborn, R-Co., might lose his seat due a technicality that could keep his name off the primary ballot in June. The Colorado Supreme Court ruled on Monday that 58 signatures gathered for Lamborn to be on the ballot were invalid because the petition gatherer did not live in Colorado at that time, which is required under state law. That put the number of certified signatures collected for Lamborn under the minimum threshold of 1,000 to get his name on the ballot. 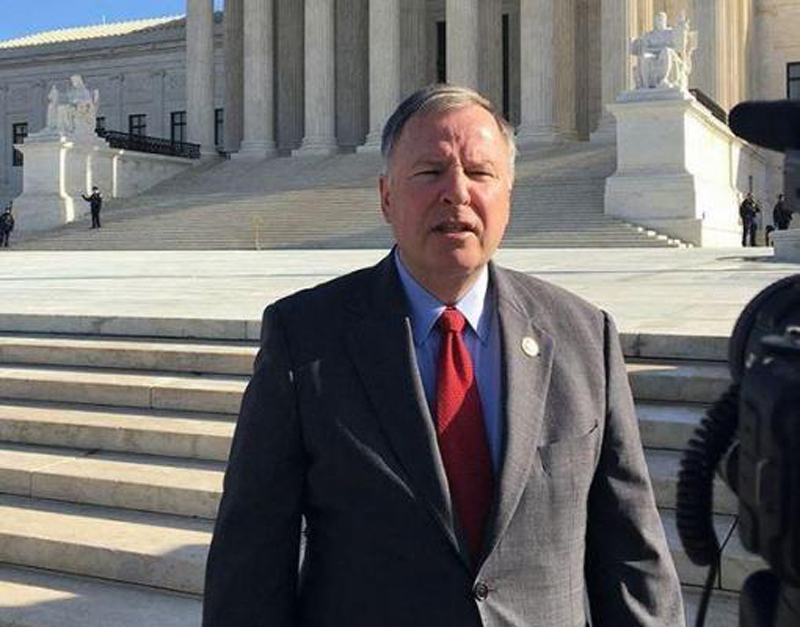 Lamborn's attorneys argued that the residency requirement is unconstitutional. But the Colorado Supreme Court said it lacks jurisdiction to rule on the constitutionality of the rule and said he'd have to take his case up with the U.S. Supreme Court. Ryan Call, an attorney for Lamborn's campaign, told Politico the congressman intends to do that. "We believe, quite frankly, denying a sitting congressman the right to participate in a primary election where the residency of the circulator denies the otherwise valid petition signatures is unconstitutional," Call said. "We intend to file an action in federal district court, and there are a number of cases that find that the residency requirement for circulators as unconstitutional." Whether Lamborn makes it on the ballot remains to be seen, but his district is unlikely to leave the GOP's column. The district is heavily Republican and Lamborn beat the Democratic opponent in his last race in 2016 by 32 points.